I, I myself will comfort you: who art thou, that thou shouldst be afraid of a mortal man, and of the son of man, who shall wither away like grass? And thou hast forgotten the Lord thy maker, who stretched out the heavens, and founded the earth: and thee hast been afraid continually all the day at the presence of his fury who afflicted thee, and had prepared himself to destroy thee: where is now the fury of the oppressor? 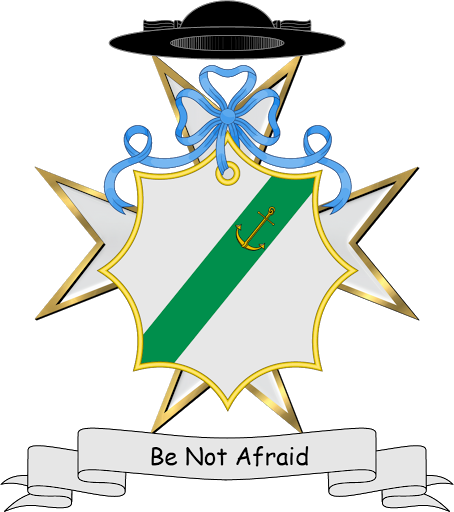 And I say to you, my friends: Be not afraid of them who kill the body, and after that have no more that they can do. But I will shew you whom you shall fear: fear ye him, who after he hath killed, hath power to cast into hell. Yea, I say to you, fear him. Are not five sparrows sold for two farthings, and not one of them is forgotten before God? Deaconette always marvels at a certain type of fair-skinned American Catholic who is perpetually equipped with rose-colored glasses that work only in hindsight. Such people seem to think their ancestors arrived on these shores as tune-whistling, good-natured laborers who were ready to strike it rich as legal immigrants. That is, instead of typhus-coughing, crime-prone uneducated famine refugees who hadn’t a clue about American city life or where to plant their potatoes. Brexit has been a joy to these anti-immigrant types, which leads Deaconette to wonder if Irish Alzheimer’s Syndrome (a degenerative affliction of degenerates which causes sufferers to forget everything but their rage) might be hereditary. Boris Johnson’s vituperations are now on PornHub, under the title “Dumb British Blonde [expletive deleted] 15 Million People At Once.” Deaconette linked the photograph to a newspaper where you might learn more — not to PornHub. Being a short woman, Deaconette has always admired Amazons. Strong and powerful women are certainly worth looking up to, whether literally or figuratively. Clearly, no clerical blog is complete without an Amazon wish list or three or four. Your Reverend Mistress Blogger has been window shopping, searching for products that a good Deacon or a bad Priest might need to improve the ministry. Not being the acquisitive sort and having very modest hobbies like satiric blogging, Deaconette hasn’t found too many items to beg for, and none of them have the astronomical price tags that seem to be de riguer. But what would a hard working deacon do with a night vision monocle, anyway? Perhaps you have suggestions for her wishlist. If so, would you make them using the space provided below? Also, perhaps you’ve read an overly legalistic list of twenty suggestions for making a confession elsewhere. Reverend Fathers who read this blog, I trust you are not so demanding of your penitents. Deaconette is pleased to substitute her own list, addressing the ordinary fears and concerns of those approaching the sacrament as a novel experience. Your thoughts are welcome. 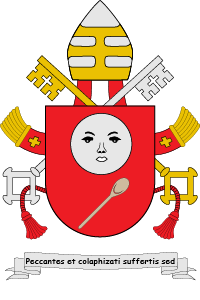 You know, Deaconette never really wanted to be Pope. She’d be happy being a mere Cardinal-Deaconette. We’ll let Popette enjoy some solitude and hope we don’t have to call her back to sort things out. Tips for writing to the Vatican, bishops and priests; wherein Deaconette submits for your consideration accurate, scientifically tested, and peer-reviewed advice for advising others of your complaints. 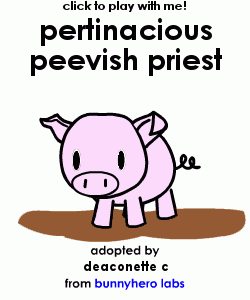 And she has added a contact form and also adopted a porcine prelate to serve as the mascot. Go visit him below. All the cool kids have papal dreams these days. Why should Deaconette miss out on the fun?